As the Chief Marketing Officer of Confirmation, Erik leads our company’s global marketing strategy, brand development, digital presence, and marketing partnerships to drive demand and awareness of our platform. Prior to his role at Confirmation, Erik brought marketing and product innovation to a range of early-stage and mature technology businesses serving enterprise, mid-market, and consumer segments. Early career highlights include launching Microsoft Surface and multiple versions of Microsoft Money as well as working in the technology innovation team at American Express. 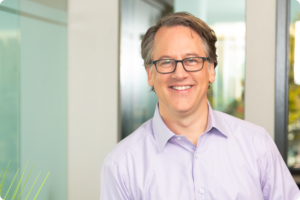 More recently, Erik built a marketing agency’s rapid innovation lab serving Fortune 500 companies, launched energy efficiency SaaS solutions for a pre-IPO software company, and served in CMO and CEO roles for tech startups. Erik holds an MBA from the Kellogg School of Management and a BA in International Relations from Middlebury College.